Hello guys! I just wanted to make a short little update. We’ve gotten a TON of comments, and couldn’t keep up. We had 200+ unanswered.. rip. I went through and approved them all. Me and Jen are going to try and keep up with them now, but we still get a lot per day and are busy with school and such, so please be a bit patient! Also, before commenting, just make sure to read the text Jen puts at the beginning to explain about the guides if you have any issues with that. Otherwise, thank you all so much for the support! We never thought the blog would get this many views ;;. So thank you all, and see you soon! 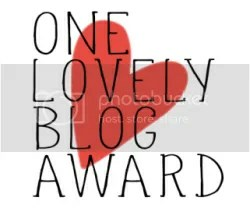 Thank you very much to Neko for nominating me for the One Lovely Blog Award! It makes me very happy to see that people are enjoying my blog, so I just wanted to take the time to say I really do appreciate every view, like, and comment I get! They always make my day so much brighter! ♥ You must thank person who nominated you and include a link to their blog. ♥ You must list the rules and display the award. ♥ You must add 7 facts about yourself. ♥ You must nominate 15 other bloggers.